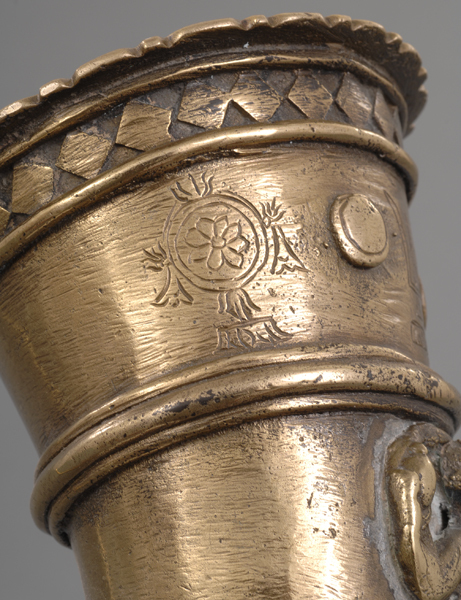 Top: NMM 7201. 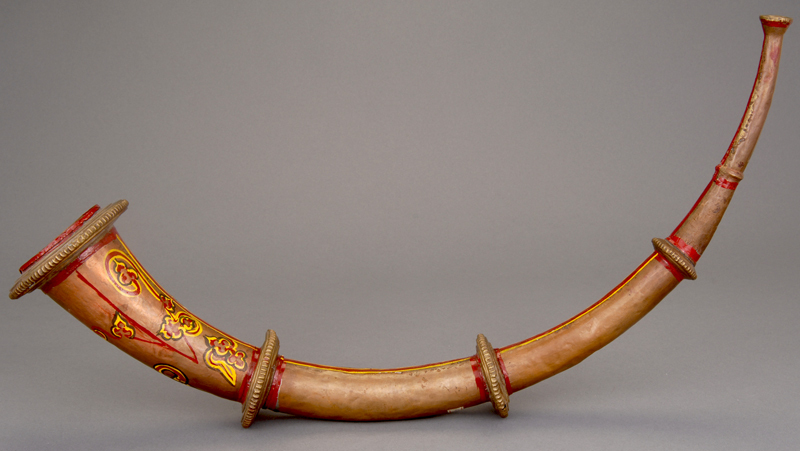 Semi-circular natural trumpet (kombu), southern India, 20th century. 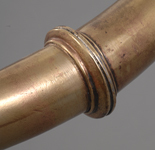 Copper tubing in four sections with painted red and yellow lines along seams. 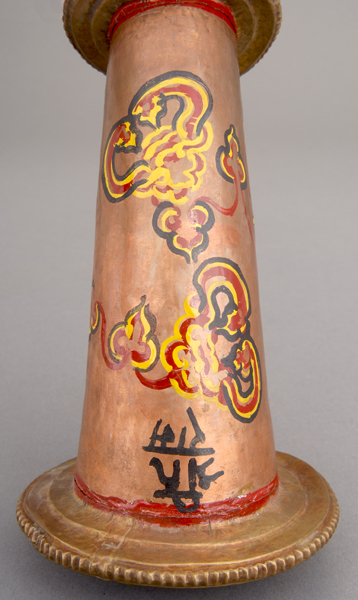 Bell painted with geometric and flame-like patterns in red, yellow, and black. 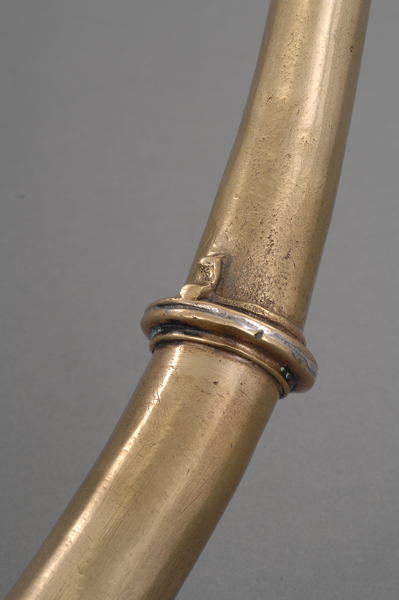 Sounding length (including mouthpiece): 719 mm. 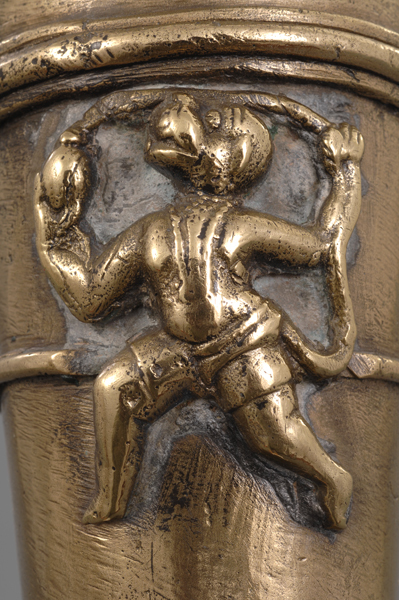 Joe R. and Joella F. Utley Collection, 1999. 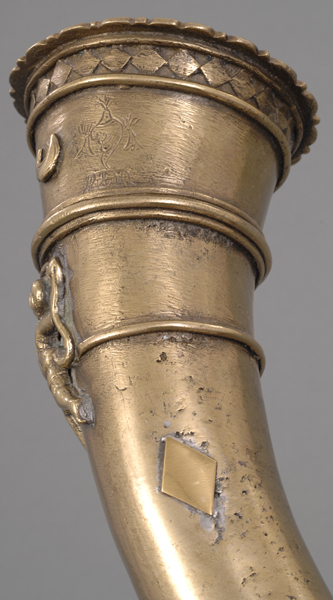 Bottom: NMM 7206. 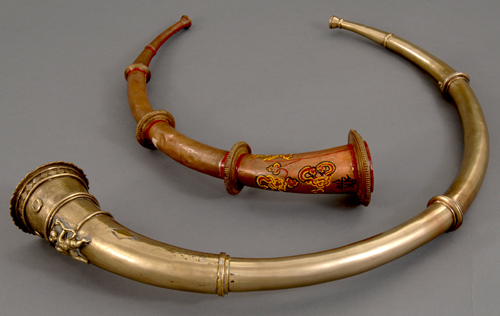 Semi-circular natural trumpet (kombu), southern India, 19th century. 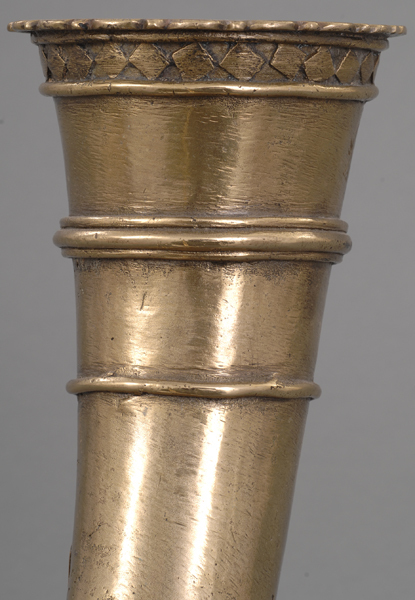 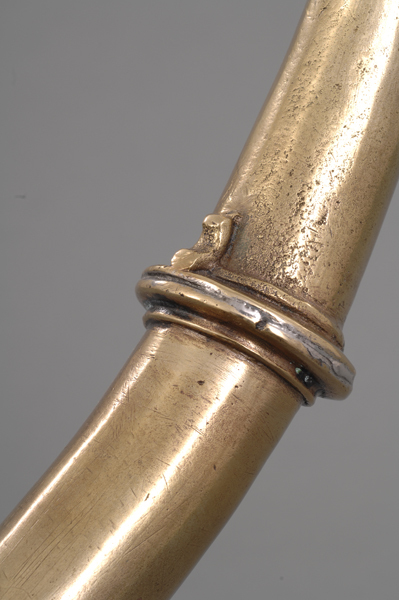 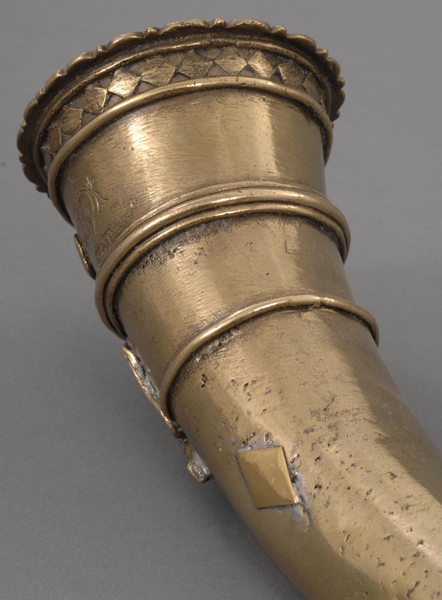 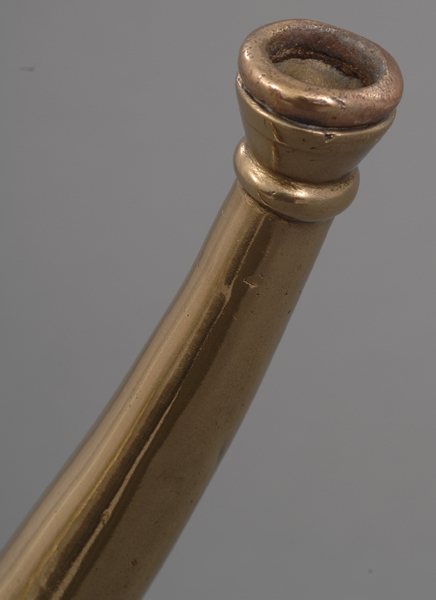 Cast brass in four sections with integral mouthpiece. 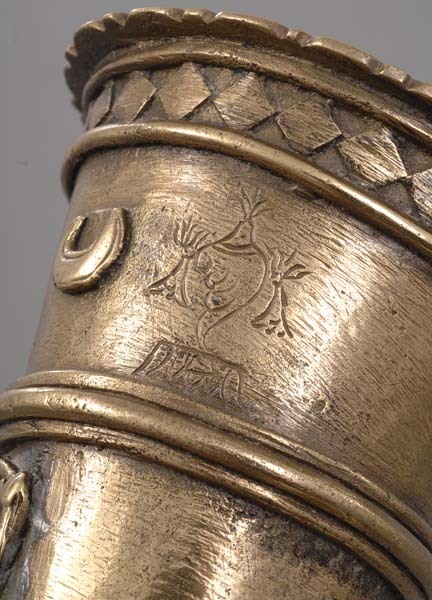 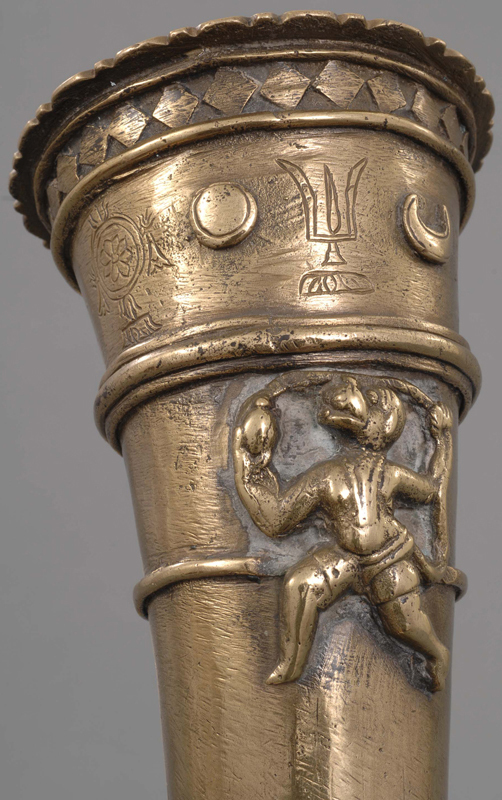 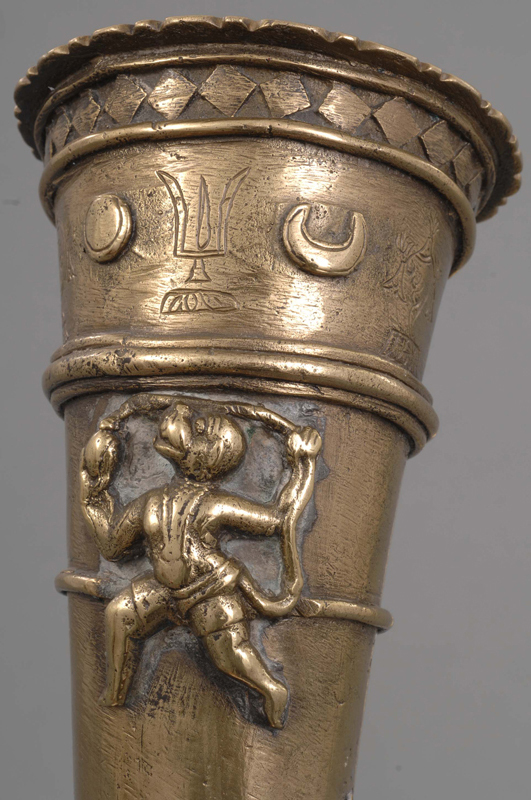 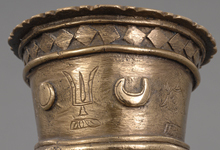 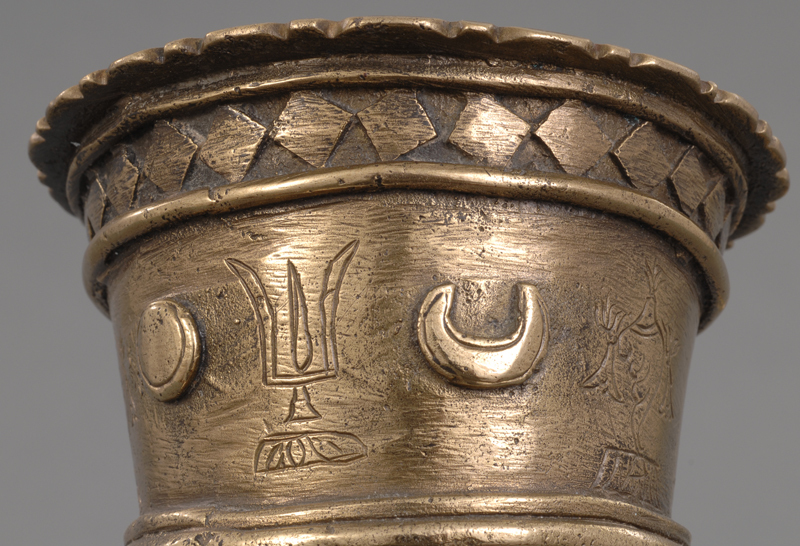 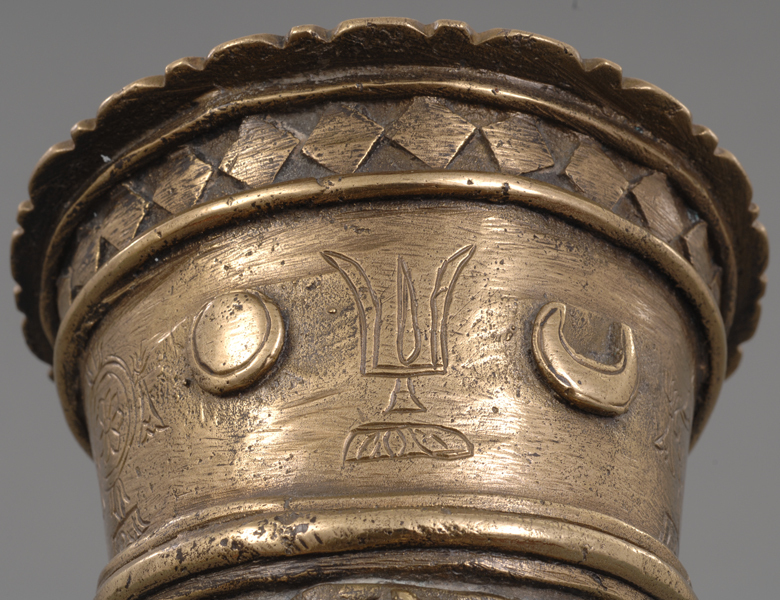 Bell decorated with images of a trident; the Hindu god Hanuman; lotus blossom; and conch shell. 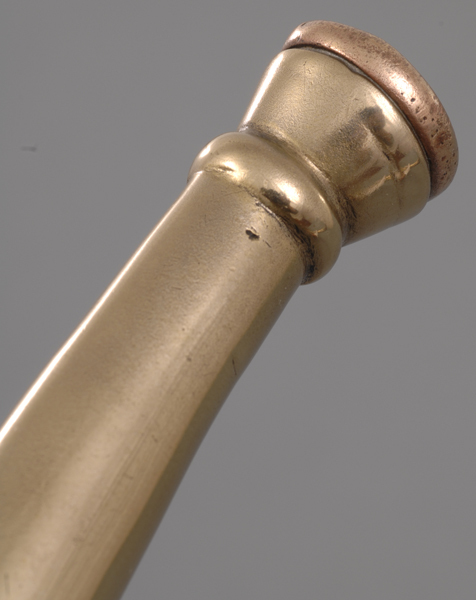 Sounding length (including mouthpiece): 1205 mm. 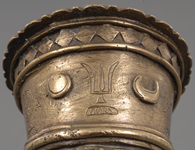 Joe R. and Joella F. Utley Collection, 1999. 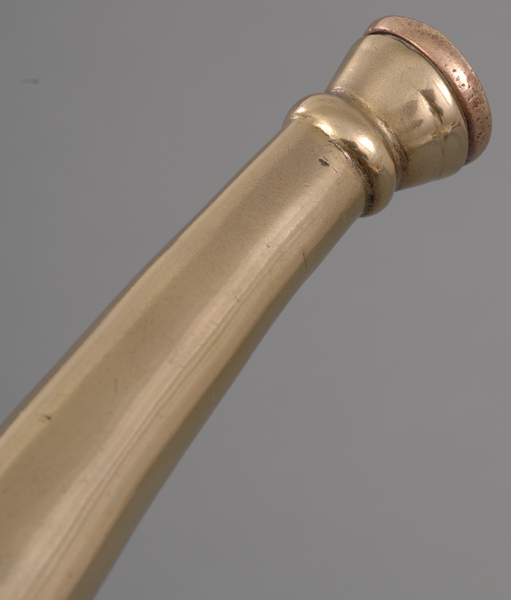 NMM 7201. Semi-circular natural trumpet (kombu), southern India, 20th century. 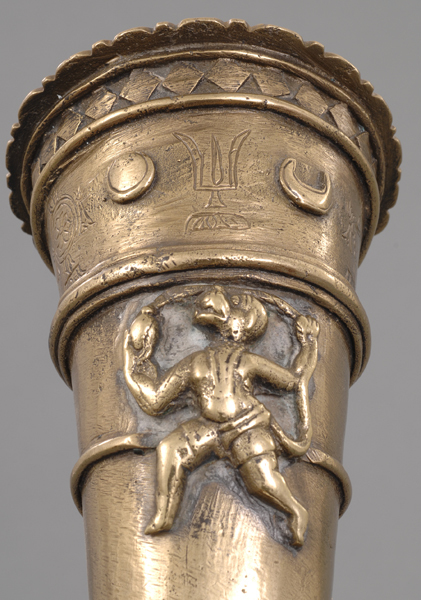 NMM 7206. Semi-circular natural trumpet (kombu), southern India, 19th century.